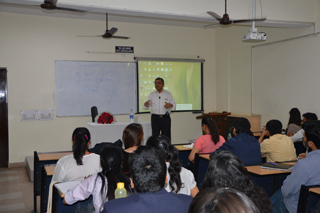 Guest Lecture on “Emerging Trends in Payment Systems in India” for PGDM-IB( 2015-17) on 4th March 2016. 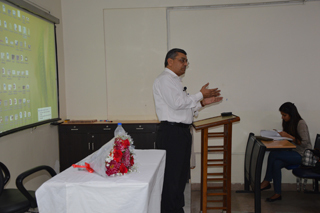 The session was conducted by Mr Sunil Aggarwal (Ex VP-IDBI Bank). A rank holder commerce graduate from Delhi University and Certified Associate of Indian Institute of Bankers, worked in IDBI Bank for more than 10 years as VP.